ROTARY VOLUNTEERS: Bev Latona and Sue Bell. 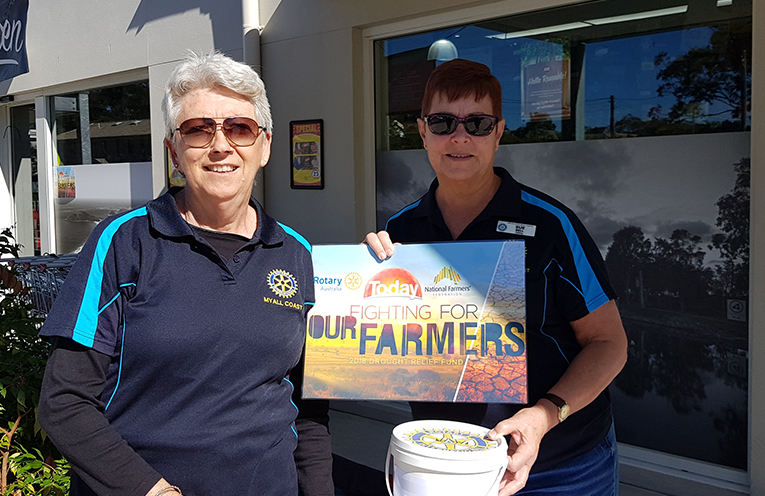 FOR a number of weeks now, Rotary members have been out and about in Tea Gardens and Hawks Nest, manning buckets and pales to raise money for our drought stricken farmers. At last count, they’d raised $5,700 for the ‘Fighting for our Farmers’ Drought Relief Appeal. 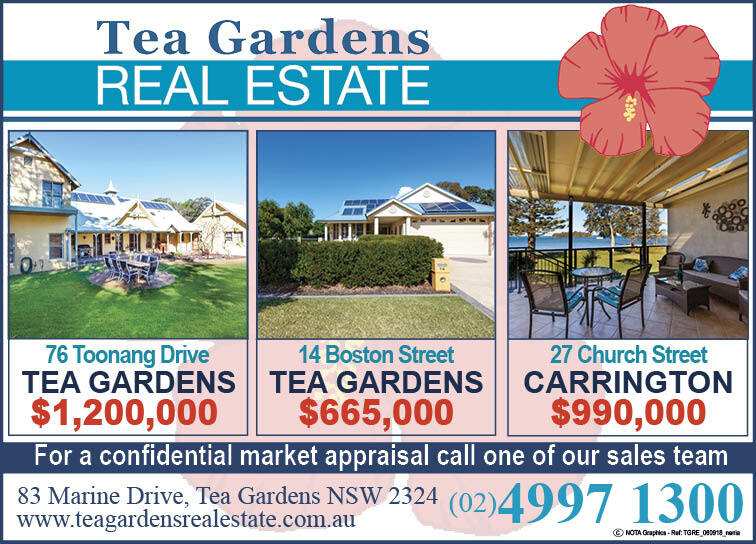 “We’d like to thank all the residents and visitors to Tea Gardens and Hawks Nest who’ve donated to the appeal,” Rotary’s Roger Digby said. It’s also that time of the year again when the Rotary Club of the Myall Coast starts to preparing for its annual book sale. “We would welcome more saleable books to sell,” Roger said. While Rotary is not too fussy they do have a couple of requests. Books can be dropped off at the Pelican Pest Control Office in Myall Street, Tea Gardens during office hours, Monday to Friday. Rotary would like to thank Shane Reynolds and his team at Pelican Pest. The Giant Book Sale is held in the first week of January at the Hawks Nest Community Centre.